When a WSI franchisee found it challenging to locate qualified prospects, they reached out to Intelemark to help them build a campaign. Even after Intelemark developed a successful ongoing campaign, Intelemark raised the bar by adding a new improvement in the way that WSI franchisees differentiate themselves in their local marketplace. The new improvement caused more scheduled appointments in a shorter time. 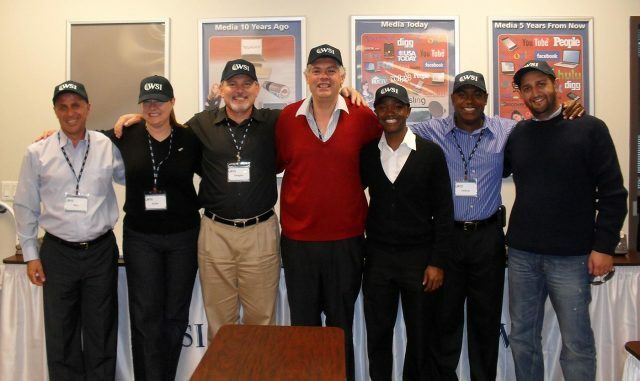 Initially, the WSI franchisee engaged Intelemark to create and execute a campaign to schedule face-to-face meetings with local small to medium sized businesses. The new campaign ran successfully! In 2015, after almost 3 years of this campaign, Intelemark noticed changes in the market. Intelemark saw an opportunity to innovate and significantly improve the campaign’s appointment setting performance. The Intelemark agent recommended that a WSI franchisee provide a bio to help personalize their connection with new prospects. Based on the agent’s recommendation, the WSI franchisee added a personal bio and self-portrait to the standard brochure that gets emailed when prospects asked for information. Within 6 months of following the campaign’s new strategic re-launch, the client reported a significant increase in the quality of leads received. Once the change was implemented, the WSI franchisee reported that it became easier to close sales and that they were closing at a rate of almost 50% from the leads delivered. After experiencing this success, all WSI franchisees incorporated the new tactic as a standard practice in all WSI campaigns. When you work with Intelemark, you will find that our agents, production managers and management team always think beyond the immediate requirements of the campaign, and always focus on improving the deliverable for the client. Every Intelemark team member is committed to providing service above and beyond our clients’ expectations. Clearly, our client appreciates our innovation, and can feel our sincere commitment towards the success of their campaign. Contact Intelemark today to understand how a customized lead generation campaign can drive outstanding results for your company.